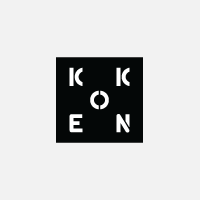 Installation of this product requires an account with a registered installation of Koken. If you have an account, please sign-in. If you don't, create one here. For embedding albums, playlists and songs from the music streaming service rdio in an essay or page. Click on Usage in the left column for detailed setup instructions. Follow these steps to setup and use the plugin. Once installed, head over to rdio. To embed a playlist or album click their "Share" button, as shown below. In the modal window that appears, copy the URL displayed in the field at top right, as shown below. To embed only a single song, click the arrow next to the song then select "Share song" from the drop-down menu (see below). A modal window like the one above will appear for you to copy the song's URL. With the URL copied, click on "Text" in the console's main navigation and create a new essay or page. Click anywhere inside the document, then press return to create a new line. A space will appear asking you to click, begin typing or paste a url. Paste the link from your clipboard. A preview of the rdio content will appear, as shown below. You may now publish the essay or page to your site. For more information about embedding content in essays/pages see this overview. Legal rdio is a registered trademark of Rdio, Inc. which is not affiliated with this product.